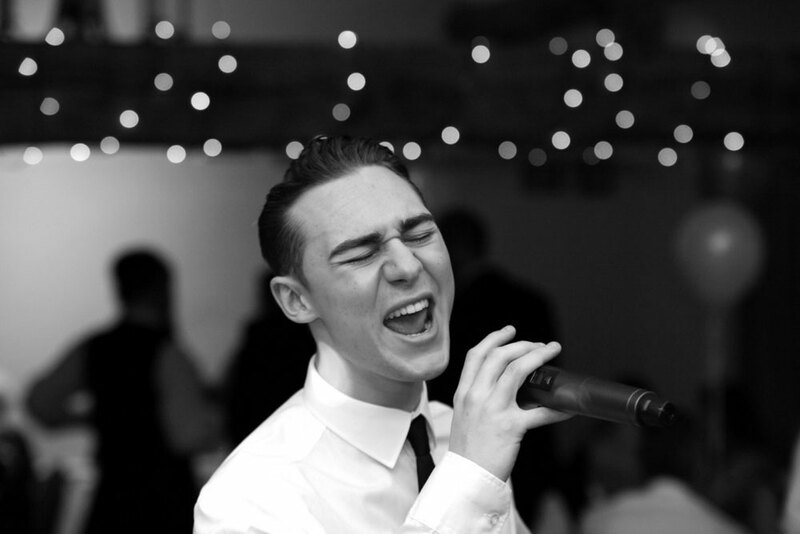 Whether your event is on a grand scale or a family anniversary, you can inject a bit of showmanship to the day with the additional of an experienced male singer. We have hundreds to choose from and our male vocalists are some of the best in the world! Soul and Motown, smooth hits from the Rat Pack, big hits from 50's and 60's sit comfortably alongside covers from Robbie Williams, Take That, Backstreet Boys and more. If formal singing is more to your taste - think about hiring a male singer who has been classically trained - an opera Tenor or Barber Shop Quartet will really get people sitting up! Our singers have a wide repertoire, so no matter what their musical style - you can be sure of an entertainment package brimful of beautiful songs. Find out more about booking a male singer. Find a Male Singer for hire near you in minutes! Option 1. Enter your event location below & contact a Male Singer directly! Option 2. Request multiple quotes from available Male Singers Get Quotes! Option 3. Read information & advice on hiring Male Singers Read Advice! There are some occasions where the smooth, melting tones of a male singer are the perfect accompaniment either as a sophisticated backdrop to your event or as the star focal point that really makes the day or evening shine. A male vocalist can be incredibly versatile, covering a whole range of styles and genres and changing the mood with their charismatic flair and effortless class. We have some incredibly talented male vocalists in our directory, all of whom can be contacted directly, and to help you decide if a male singer is right for your party or event, we’ve covered the basics below. If you want the full low-down on everything from how much space they will need to how long their set will be, then take a look at our Complete Guide to Booking Singers. Is a male singer right for my event? A male singer can provide a whole day or evening of entertainment in just one package, as background music or getting your guests up on the dancefloor and really working the crowd to make your celebration go with a swing. The mellow, warm tones of a male voice covering romantic classics makes a perfect accompaniment to the wedding breakfast or drinks reception, and nothing could bring more class and emotion to your magical ceremony than the sound of a opera or classical singer. A male singer with a live band is also a great way to get everyone’s toes tapping later in the day, and bring everyone reeling and smiling to the dancefloor, bringing energy and fun to your event. It can be tricky finding just the right act for a corporate event, but a male singer can provide the versatility you need. You can choose anything from a Ratpack style act or singers who cover particular eras for a memorable themed event, or find a charismatic and crowd-pleasing all rounder who’s also willing to sing duets with your guests, to add that extra bit of fun to your evening. Whatever your requirements, just ask when you contact our performers. Whether you’re looking for entertainment for a Gold Club party or a private Birthday celebration, a male vocalist can provide great value for money. They are wonderful all-round entertainment for all ages and many of our talented singers will cover genres and eras to please every taste. We have everything from Sinatra tributes, to singers who cover everything from Swing to modern day pop. If you’re looking for a bit of Bruno Mars to dance to, or some cool classics to listen to as you sip champagne and soak up the atmosphere, we have an entertainer for you. What sort of male singer do I need? The type of singer you need will depend very much on the type or mood you want to create and the style of entertainment you want for your guests. We have an incredibly diverse list of styles, including Buble, ratpack and Sinatra tributes, Opera singers and all round singers who will cover all styles and eras from Motown and Swing to Freddie Mercury and Ed Sheeran. We have incredibly talented entertainers available wherever you are, from the UK in London or further North, to the US, anywhere from California to New York. We even have singers available across Europe and Australia. How much will Male Singer Cost? The main thing you will need to consider is your budget. The cost to hire a male singer will depend on whether he has a backing band, and how big it is, as well as how many years he’s been working. As an overview, a two or three person set-up would be around £300 to £500 in the UK ($500 in the U.S. and €600 in Europe). For a 4 or 5-piece band you can expect to pay between £1000 and £2000 in the UK ($1000-$2000 in the U.S. and 600€-1200€ in Europe), and for a solo artist will be £300 - £500 in the UK ($500 in the U.S. and €600 in Europe). Since the prices do vary widely, we highly recommend getting in touch with your chosen performers for a completely free, no-obligation quote. There are plenty of other practical considerations that you should keep in mind when booking a male singer, from the size of the area you have to the length of the set and your budget, but we’ve got all of this covered in our extensive article ‘Your Complete Guide to Booking a Singer!’. Just take a look to find out everything you could ever need to know about the when’s, where’s and how’s of hiring one of our amazing acts for your event. The quickest way to find the right singer in your area is to use our search function. Just add your location and the type of singer you need and click search to see a huge variety of acts to choose from. Even better, if you would rather entertainers came to you, you can request multiple quotes here, and this service is completely free! You will also find testimonials on many of the entertainer listings on our site and we fully recommend that you read them, since this will give you a good insight into what they do as well as bringing you peace-of-mind when you book. Many of our act listings will also show videos or have audio samples of their performances so you can find out exactly what it’s like to have one of these fantastic acts at your event. Once you’ve found your ideal singer, just contact them direct! WANT TO RECEIVE A RANGE OF QUOTES FROM Male Singers?